Mezzo-soprano Karen Lykes has performed extensively throughout the United States, Europe, Japan and Central America with orchestras and choral societies such as the Boston Symphony Orchestra, Handel & Haydn Society, New Japan Philharmonic, Shinsei Nihon Symphony, Baltimore Choral Arts Society and the National Chamber Orchestra Society. She has worked with an array of conductors including Kazuyoshi Akiyama, Petr Altrichter, Luciano Berio, Carl St. Clair, Thomas Dunn, Gustav Meier, Seiji Ozawa and Maxim Shostakovich. Her repertoire spans the Baroque to the contemporary, including Bach’s Mass in B minor, Handel’s Messiah, Mozart’s Grand Mass in C minor, Beethoven’s Symphony No. 9, Berlioz's L’Enfance du Christ, Mahler’s Lieder eines fahrenden Gesellen, Rückert Lieder and Symphony No. 4, and Bernstein's Symphony No. 1, “Jeremiah.” Equally at home in musical theatre, she has also performed the works of Gershwin, Kern, Weill/Brecht, Rodgers and Hammerstein and Sondheim in concert. As a member of the American VocalArts Quintet, Lykes won 2nd Prize in the Concert Artists Guild International Competition. She has been a finalist in the New England Regional Metropolitan Opera Auditions, the recipient of a Vocal Fellowship to the Tanglewood Music Center, and the winner of the Franz Schubert Prize for Excellence in Interpretation of the Lied in Austria. An active recitalist, she has presented concerts in Oregon, Ohio, New York, Massachusetts, Arkansas, Costa Rica and Japan, as well as for the Virginia Art Song Society and The American Schubert Institute. Her recordings include the vocal chamber music of Brahms, Massenet, Schumann and Boulanger for Titanic Records with the American VocalArts Quintet, and songs of Charles Ives for Koch International Classics with the Detroit Chamber Winds. Lykes’ students have performed with Chanticleer, the San Francisco Symphony, New York Philharmonic, Atlanta Symphony, The Metropolitan Opera, Lyric Opera of Chicago, Washington National Opera, Essen Opera (Germany), Glyndebourne Opera, Aix-en-Provence Festival, Santa Fe Opera, Houston Grand Opera, Dallas Opera, Glimmerglass Opera, Los Angeles Opera and the New York City Opera. 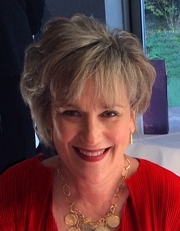 Her students have been recipients of Sara Tucker and Richard F. Gold Study Grants, the Sullivan Foundation Award, and prize-winners in Placido Domingo’s Operalia Competition, the Gerda Lissner International Vocal Competition, the Licia Albanese International Vocal Competition, the George London Foundation Vocal Competition, the Dallas Opera Guild Competition and the Palm Beach Opera Competition. Her studio is represented on and off-Broadway and in national tours of Hamilton, Bright Star, Cabaret, Dear Evan Hansen, The Book of Mormon, Les Misérables, Cirque du Soleil Paramour, and New York Spectacular with The Rockettes. Her students have also appeared on Broadway and on tour in Beautiful – The Carole King Musical, Wicked, The Lion King, The Little Mermaid, Sister Act, The Scottsboro Boys, Urinetown, Follies, Little Women, The Full Monty, Footloose, and Chitty Chitty Bang Bang. Her students have been nominated for the Tony Award for Outstanding Actor and Actress in a Musical, Drama Desk and Outer Critics Awards, the Lucille Lortel Award for Outstanding Achievement Off-Broadway as well as the Grammy Award for Best Classical Vocal Performance. Prior to joining CCM, Lykes was a member of the voice faculties at New York University and the University of Michigan. She has served as a master teacher for the Glimmerglass Opera Young American Artists Program, Bel Canto Northwest Vocal Institute, The Seagle Colony, University of Notre Dame Summer Scholars and The Art Song Festival at the University of Toledo. (Additional study at the Franz-Schubert-Institut, Austria. ).